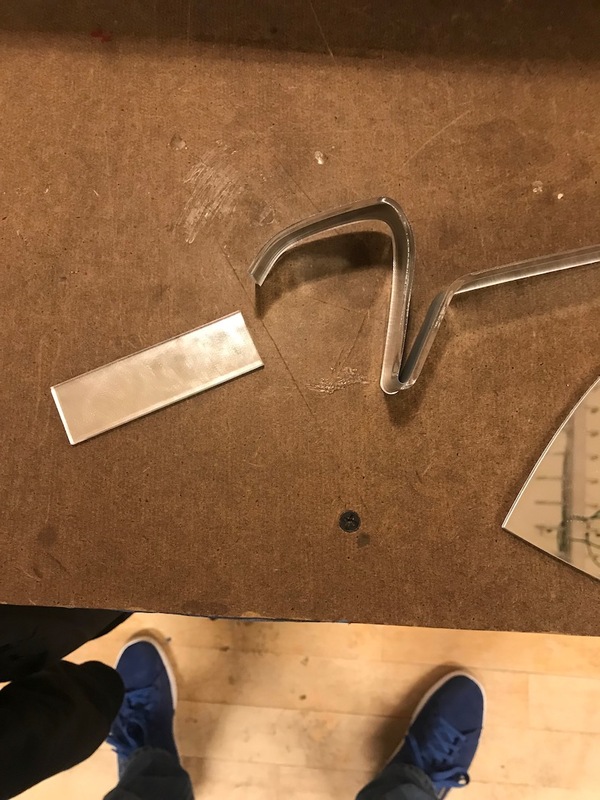 For documentation’s sake, here is how I made it (spoiler – stacked acrylic). 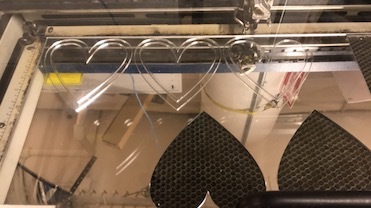 Initially, I wanted to make a heart, and bend a long strip of acrylic around the end to give it the depth needed for the LEDs. …but bending to form was impossible… heartbreak, even! It is important to note that the faceplate (i.e. 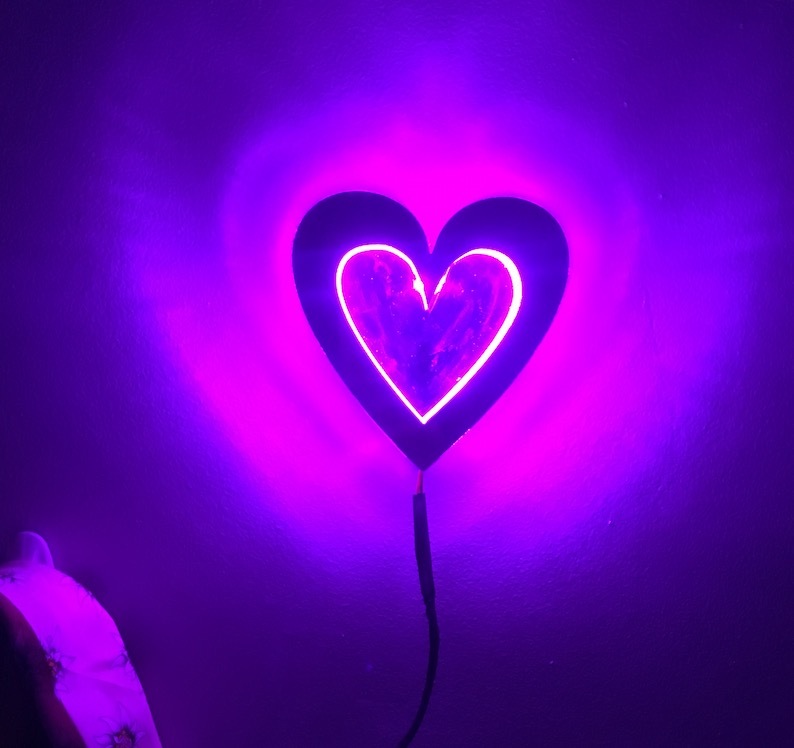 the frontmost heart outline), must be LARGER than the others, so that the LED lights have somewhere to hide, and not shine directly into our eyes! Also note the gap in the bottom of some layers so that a wire can go through them. I then sanded the layers of acrylic to give them more surface area and contact – in order to make them more susceptible to acrylic cement. Not sure if this was necessary. 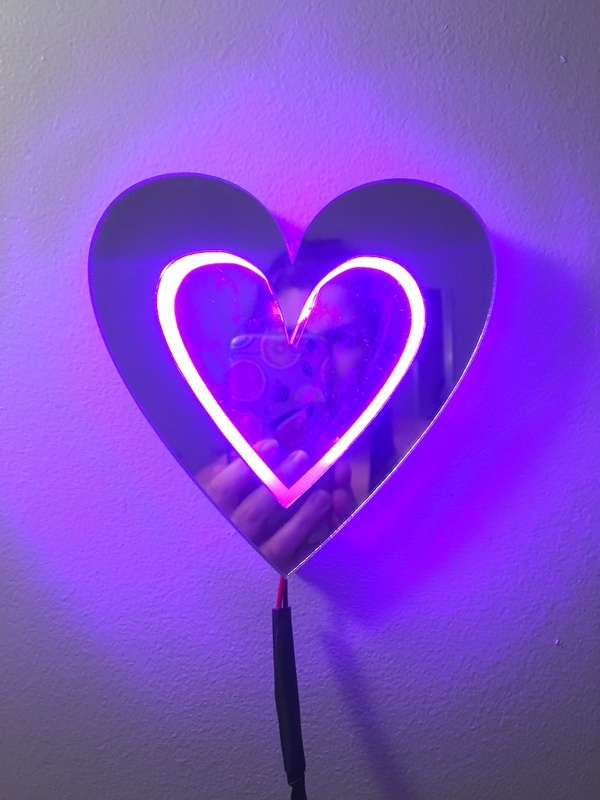 After cementing the stack of hearts, I removed the adhesive back of the LED strip and lined the inside with it. (UPDATE: Used crazy glue to solidify the connection, which was peeling after a few days). tapetested the lights in this setting with a 12V power supply. added the face plate and turned it on! And that was that! I cleaned the mirror and gave my love and effort away to a very deserving person. The light looks great, and this would be a perfect enclosure project. But for the material assignment you were to use two materials, specifically any material except plywood and acrylic. I would have liked to have seen some experiments with different materials.